Fall 2018 - Moisture Matters Newsletter | Masonry Technology, Inc.
EIFS offers incredible versatility in design and valuable insulating properties. The key to well-designed EIFS assemblies is drainage. Corrugated Lath Strip™ ensures that the drainage gap is predictable and open - it prevents accidentally sealing off the insulation panels. Plus, at 1/8 of an inch, Corrugated Lath Strip fits in with standard adhesive systems and maintains over 95% of the R-value of the EIFS panels. Building Science Briefs: "De-Icing Ice Dams"
Just in time for winter, Building Scientist Dr. Joseph Lstiburek looks at ways to prevent and remediate the conditions that create ice dams. Ice dams are common problems in the north and require costly repairs to roofs and damaged interiors. 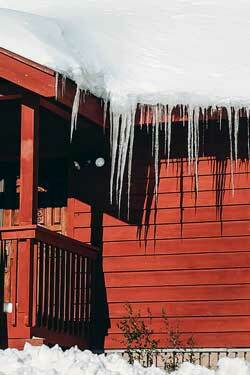 Preventing ice dams involves keeping the roof deck cold to prevent the snow melt and refreeze. The three approaches used include air tightness, insulation, and venting out warm air. The article explores designs for new builds as well as retrofitting through over-roofing. Masonry Technology, Inc. is a registered provider with the AIA. Credit earned on completion of these programs will be reported to CES Records for AIA members. Certificates of Completion for non-AIA members are also available. Interested in a presentation for your office? 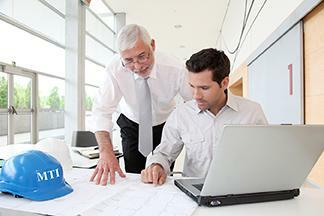 We can arrange a live webinar for our AIA CES provider workshops and other MTI training. We can meet with virtually on your schedule.